Eight years ago, the founding pastor of a new church stood on 40 acres of undeveloped land in south Broken Arrow. I still remember the day I walked the land with Pastor Rickey and he shared with me the dream that God had given him. To be candid, I thought he was a little crazy. There was no exit ramp and all the development was headed to north Broken Arrow. I had no idea, at the time, what God was going to do. Five weeks ago Connection Church and Family Church came together as one church. A few weeks later the rumors of a major shopping destination were officially unveiled. 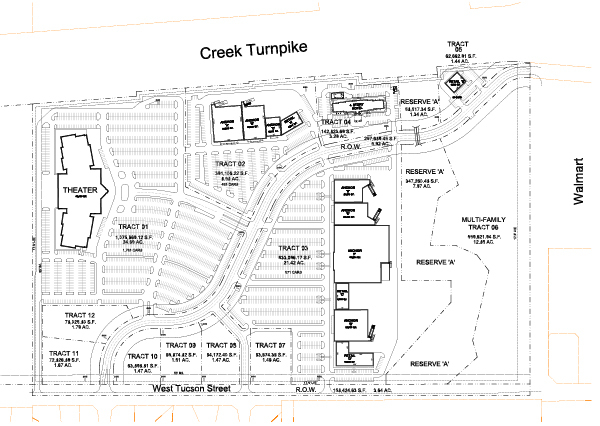 The Shops at Aspen Creek would be located right across the turnpike from the land where Pastor Rickey and I walked that day. A development that includes a movie theater, major retailers, a hotel, and restaurants. That, combined with the construction of a brand new elementary school, have changed the area around our church dramatically. Oh yeah, we also got that exit ramp. God knows what he is doing and sees what we cannot see. He has strategically placed us together at this time, and in this place, for a great harvest.